Canadian magic, and the Irish fairies await! 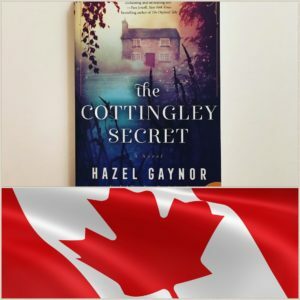 It’s hard to believe that The Cottingley Secret has already been on sale in North America for a month. The weeks have flown by in a flurry of excitement, topped off with the wonderful news that the book is a Globe and Mail bestseller in Canada! Thank you so much to everyone in Canada who bought the book! I’m so grateful! 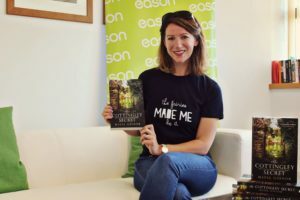 I’ve had so many wonderful reviews from bloggers and readers, often accompanied with very imaginative fairy-themed images, which have all made me smile! The blog tour reviews are all available at TLC Book Tours. 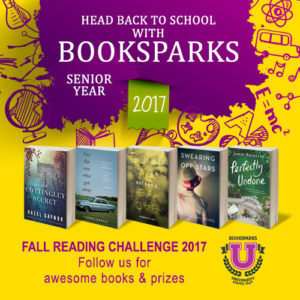 I’m also very excited to announce that The Cottingley Secret is one of the featured books in Booksparks Fall Reading Challenge. Check out the website for all the details on how to participate in this fabulous new season of book-loving fun. 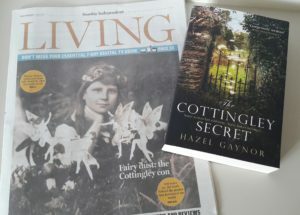 I’m also thrilled that The Cottingley Secret is currently a featured read on Savvy Reads 50 Book Pledge, who say, “The Cottingley Secret is more than just a story about the fairies. It’s a friendly reminder to keep your eyes open to magic every single day.” Some other highlights from the past few weeks were seeing the book in Redbook‘s selection of books by women to read this fall, Bookstr‘s highlights of historical fiction indulgences, and Brit + Co‘s round-up of ten books to read before your favourite fall TV shows return! The 100-year anniversary of the Cottingley fairy photographs is really capturing imaginations all over again. You can read about the true events behind the book in this article I wrote for TIME magazine and in a wonderful piece from last weekend’s Sunday Independent ‘Living’. For now, happy reading, and don’t forget to look for fairies at the bottom of the garden!